I don’t normally do restaurant reviews because we have what could be politely described as an unrefined palette. However, The Rainforest Cafe isn’t an ordinary restaurant. Heidi was besotted by the elephants that were next to us. But she was even more amazed by The Rainforest Cafe mascot “Cha-Cha” who came round for meet and greets during the meal. It is a dining experience that is somewhat unique to say the least! In terms of the actual food, the service was really quick (the food was served before the drinks!!) and was of good quality. I had burger and fries as at the end of a busy London weekend, that was all I could face. Heidi had chicken and fries. Both with drinks came to just under £40, which is expensive for a Yorkshireman, but coming here is a one-off treat, rather than a daily occurrence. The staff were very child focused and were happy to talk to the children as much as the adults! Children get a colouring pack but there is the option to buy an activity pack, which comes with an animal mask. If truth be told, the excitement of eating in such a cool place was more than enough stimulation and is probably not needed. However, it would be a good way to navigate the shop at the end of the meal! We went on a Sunday late afternoon and the waiting area was full and so booking is a must do. The website is so easy to navigate and we were seated within 5 minutes of arriving at The Rainforest Cafe. As mentioned, the restaurant is in the basement, so pushchairs are left upstairs (not sure there is a lift). In terms of toilets, there are baby changing facilities in the Gents, which is good to see. As I said previously, the cost will be prohibitive for some. However, this is perhaps the coolest restaurant that I have ever been in and so child focused, so it is well worth a visit if you’re wanting a treat. If you have been reading the blog for a while, you’ll know that I am a huge fan of the Rainbow Factory in Leeds (Rainbow Factory posts can be found here). 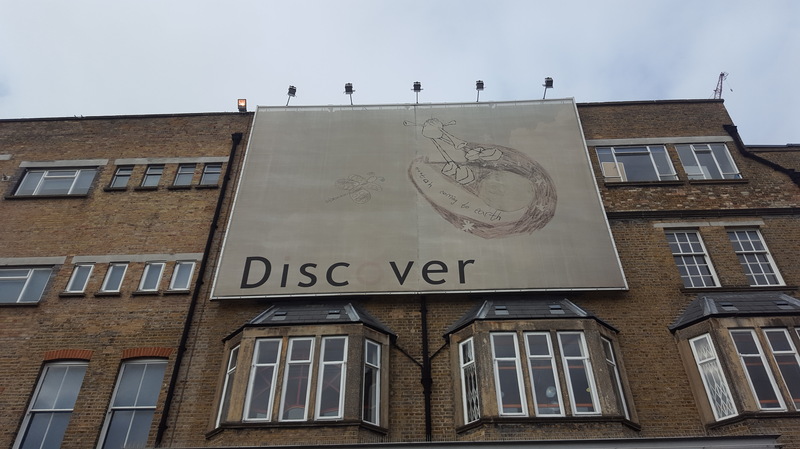 As I was planning a day trip to London, I kept on hearing about a similar venue, called “Discover”. It seemed such a unique attraction in London and it felt like the right place to go. It is located a 5 minute walk out of Stratford Underground, which is 20 minute tube ride from Kings Cross. Discover can be easily found if you go the opposite way to the Westfield shopping centre. Then aim for the strange palm tree on the roadside!! It is best to book in advance, as you have to book the individual activities as part of the day. A couple of the time slots were sold out when we arrived. Our day was a Dr Seuss themed day and we made it just in time for the reading of “The Cat in the Hat”. However, it was no ordinary reading! The reading took place in a Dr Seuss themed play area where there were activities for the children to play with. The session lasted 45 minutes and the first half of the story was read to the children sat on the carpet. They then had a 15 minute break to allow them to play with their surroundings, before the story was finished off. The younger children (under 3) understandably struggled to maintain concentration. 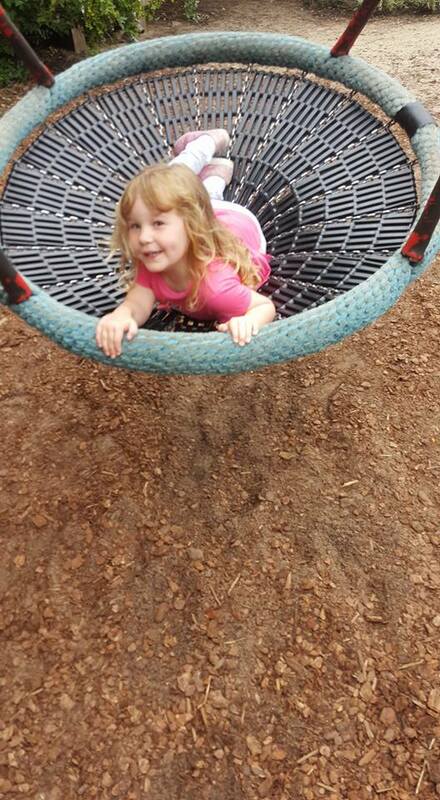 However, they were not disruptive as they were happy to play in the play area. However, Heidi loved it and at the end, was full of beans telling the story teller all about her boots and everything else! (UPDATE: I have been told by the Discover Twitter page that it was Megan – thank you!) The way Megan interacted with Heidi was so wonderful to see! We had about an hour before our next session and so we explored the indoor and outdoor story garden play areas. These were lovely, creative areas for children to run and climb and use their imagination. These shouldn’t be confused with soft play areas, but they allowed children to be creative. Adult interaction and support is possibly needed, depending on age. We, for instance, acted out the Three Little Pigs, as well as Three Billy Goats Gruff. We did this by simply using the play area, which lends itself to this. As it was the end of January, the outdoor area was a bit wet, but in summer it would be stunning!! Our final activity was an intimate “reading” of Dr Seuss’s Scrambled Eggs Super. It was really interactive with the story teller acting as the various types of birds (with various voices!). The birds left different eggs with the children to hand around before putting them in the cooking pot. It was intimate as there were probably 20 people sat on floor cushions in a curtained off room. You felt in touch with the story without being on show. Jonathan, the story teller, was excellent in keeping the children entertained with the story. Given that the story lasted 30 minutes, and the children were generally aged 4 or below, that was no mean feat. After that, we decided to make our move as we wanted to take in Central London as part of our day trip. However, we were there for 2 ½ hours and it flew by and would love to come back. Heidi was a perfect age (3) for the activities on the day. However, they do change on a regular basis, so I guess that every visit is slightly different. It was really good to see that there was space in a huge city like London for a child focused unique attraction. You do feel as though you could be anywhere your imagination takes you. Trying to do London in a Day is difficult. Trying to do London in a Day with a toddler is approaching madness!! 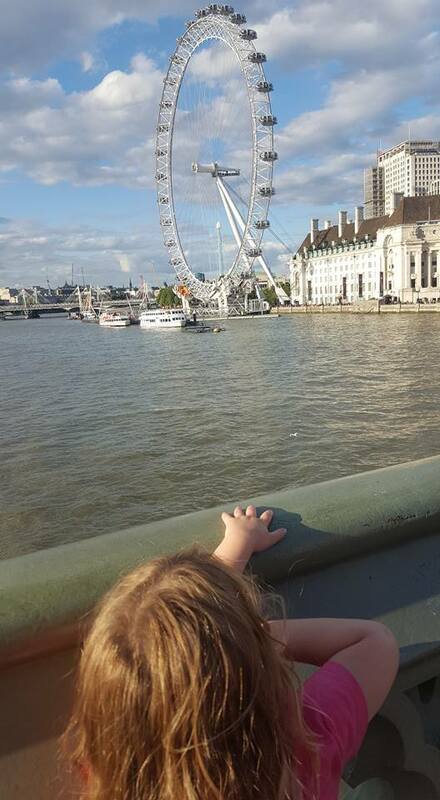 London is a wonderful place to spend the day, but was it good with a toddler… maybe not! The first question we had was how to get there – plane, train or automobile?! Well, plane costs upwards of £100 per person from Leeds Bradford to Heathrow. Once you clear security and get into the city from Heathrow, you don’t gain anything in time. Train costs about £100 per adult and under 5’s go free if you’re willing to share a seat with them. Therefore, we decided to go by car and took the economical decision of hiring one for the day. It cost around £40, not including petrol of around £40. So after picking the car up at 8am, we did the lengthy journey down the M1 to London. After a service station stop, all in all, it took 3 hours 30 minutes to get to Stanmore tube station. Heidi was entertained by a portable DVD player, but it did get a bit hairy at times. Fortunately she had a sleep on the way down!! Stanmore is one of the few tube stations where there is a decent sized car parks. It is very close to the M1 and as it is at the end of the tube time, it is easy to get on the trains. Is it easy to navigate the Underground with a toddler and pram? Not really, but I was expecting worse! Getting into the city was easy enough but moving around the stations was difficult – but not impossible. To be fair, the “natives” were understanding of the pram and ensured that there was enough space to get on/off. The tube was very, very busy at times and so if you have a nervous child, it might not go very well. However, Heidi was amazingly alert, calm and entertaining! One of the keys was planning which stations had lifts and which didn’t. By using the lifts, you tend to see the back corridors of the stations which you never see! However, the lifts aren’t everywhere and so chances are you have to go up an escalator or two. You are best to carry your child and fold the pushchair and hold it. Obviously, this is very much difficult if there is just one of you. 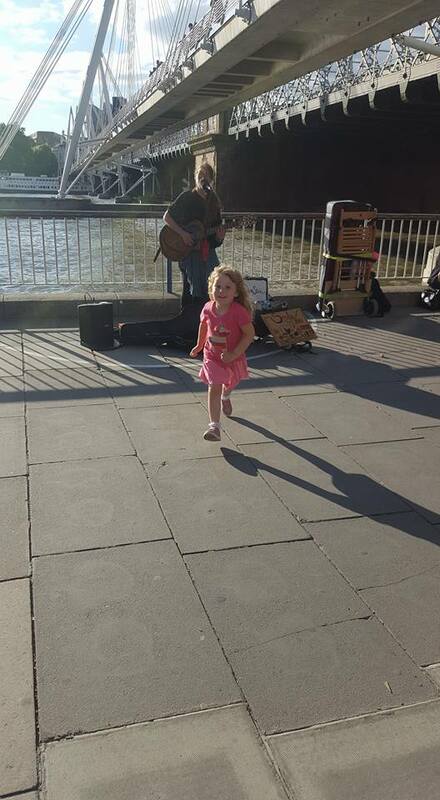 So, having got into central London at 2pm – what do you do with a 2 year old?? Well, surprisingly, there is very little to do! There are no children specific museums and very little for toddlers at all! There seems to be more towards Greenwich/Docklands and that might be a better place to go next time. We knew we only had 4 hours or so before having to head back so we decided to cut down the travelling as much as possible, and decided to do the Natural History Museum and the Science Museum. Except there was a problem. There were massive queues (this was a Tuesday in August). As a result, we went into the Victoria and Albert Museum, for not other reason than it was quieter and we wanted to do anything! The V&A is not child friendly at all and I wouldn’t go back at all. But because of the open spaces and “interesting” artwork, it did allow Heidi to wander around and be visually stimulated (I think!) We lasted 30 minutes and by that time, the queues in the Natural History Museum had died down and we ventured in. It was very busy but we spent about an hour in there looking at the various exhibits. There was a very child-friendly exhibition in the basement around animals which resulted in Heidi pretending to be a tortoise after touching a tortoises shell! The queue for the dinosaur exhibit was unbelievable and we didn’t try to go in. After an hour in the Natural History Museum, we walked down the road to the Science Museum. Perhaps the most toddler friendly place, we only made it on the ground floor and managed to watch a live show about bubbles which was really good fun (and educational-ish) Had we done it again, perhaps we would have spent all afternoon here. One good thing about London is that there are plenty of free toilets in the museums etc. There were excellent nappy changing facilities throughout. As evening drew on, we made it to Westminster in time to hear Big Ben chime 6 O’clock, which was more by luck than judgement. However, we should have planned this as it was pretty cool for a 2 year old! If possible, try to go to Westminster on the tube as when you leave the station, you instantly see Big Ben and it is a sight to behold. We ended up walking along the South Bank to Waterloo. This is a particular favourite due to the street entertainers there and the good atmosphere that can be generated down there. Again, an excellent place for toddlers! We found a “suitable” restaurant for tea (not many are overly family friendly – and certainly no Wacky Warehouses!) before walking back on the more sedate North Bank to Westminster and the Tube back to the car. All in all, we got back to the car at Stanmore at 8pm and didn’t get back home until 12.30am – a very long day!! Heidi was asleep all the way home which was a relief, although the drive back for me was a challenge due to the long day!! Doing London in a Day is tough! Would we do it again? Yes! Would we do it differently? Absolutely! It was worthwhile, as 4 months later, Heidi still remembers certain aspects of it, which shows that the day carried some really good memories for her. How would we have done it differently? We should have set off in the early morning to make the most of the time and concentrated our time on the Science Museum and maybe Buckingham Palace/Hyde Park. However, you live and learn and so if this helps someone out in the future, the blog has helped! 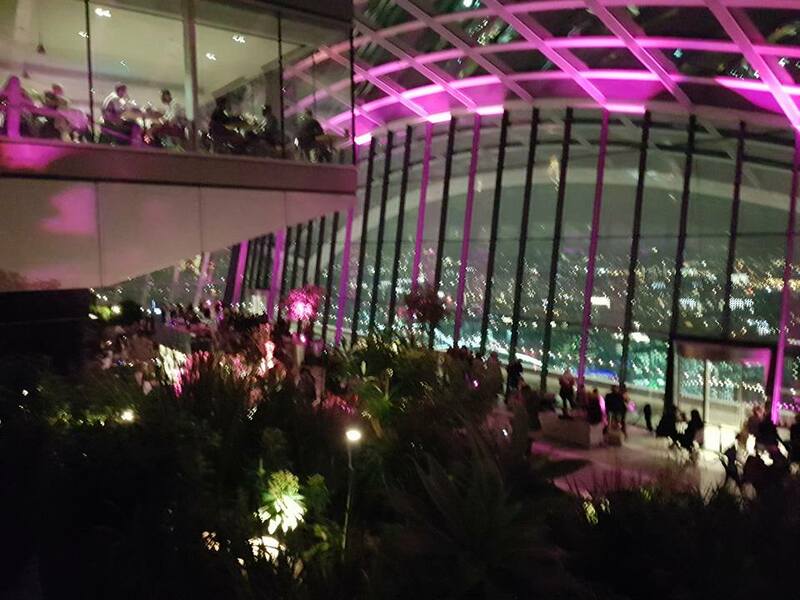 Continue reading London in a Day! 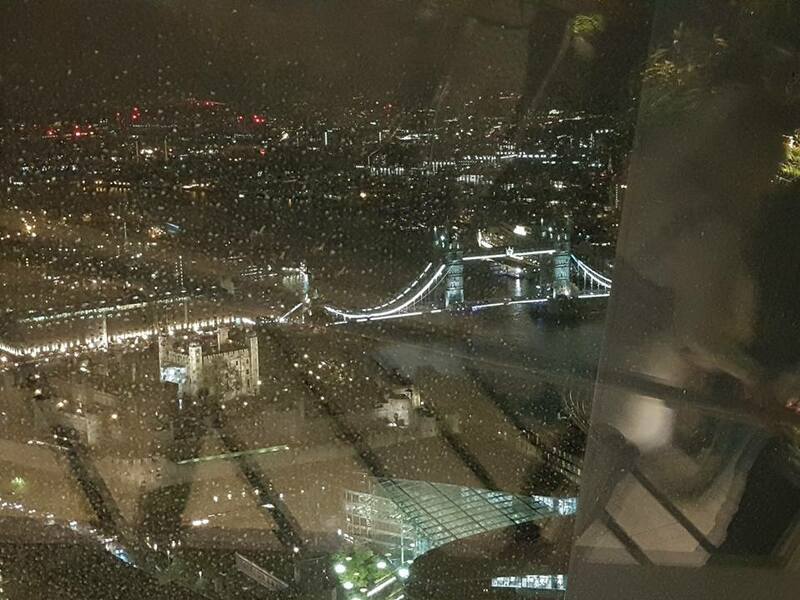 Posted on January 28, 2016 October 5, 2018 Author DadCategories UK Days OutTags London, Science, TravelLeave a comment on London in a Day!